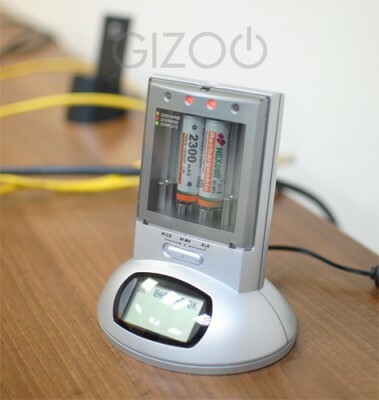 The Mini Battery Wizard allows you to recharge disposable batteries, the charger can take alkaline batteries and extend their useful life by up to 10 times. The Mini Battery Wizard is a great way to help make use of batteries that would otherwise just be disposed of. No matter how committed we all are to using rechargeable batteries we all still end up with many disposable AA and AAA batteries. They turn up in remote controls, or are bought in an emergency, somehow they end up in homes everywhere, out of power, waiting to be disposed of. This mini battery charger can change all of that, the charger is able to recharge these alkaline batteries quickly and effectively. The Mini Battery Wizard actually reconditions the alkaline cells rather than recharging them, helping to make full use of the batteries chemical contents using a pulse wave charge system. The charger can take up to 4 batteries at any one time, and can be used to charge standard rechargeable batteries at the flick of a switch. 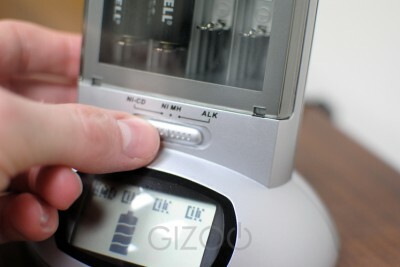 The Mini Battery Wizard is a great way to make use of batteries that would otherwise be disposed of. With disposable batteries being substantially cheaper than rechargeable ones it also can allow those without the means to buy many rechargeable batteries to increase the useful life of the disposable ones they have. The Mini Battery Wizard is just £19.95.